I have a strange relationship with the death knight class in World of Warcraft. I’ve always said I love everything about death knights except actually playing them. The playstyle has just never quite clicked for me, and as a result my death knight has long been one of my most neglected alts. And yet the fact remains I really love the idea of the class. For sheer style points, they’ve always been one of the best classes in WoW, with cool spell effects and consistently amazing tier sets. And most importantly, they have an incredible story. Death knights were WoW’s first (and for a long time its only) hero class, and thus the first class with its own unique starting experience. 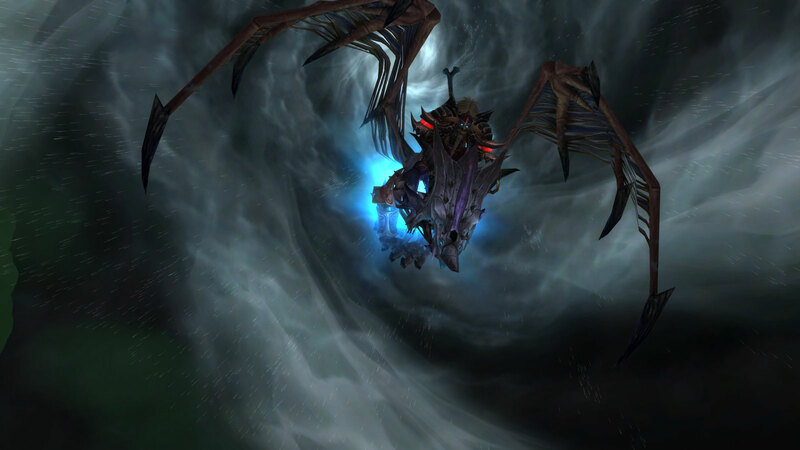 That starting experience was a quantum leap forward for WoW’s story-telling. I can still remember when I made my first death knight and was completely blown away. After months of my WoW experience being collecting bear asses, the epic experience I knew and loved from the Warcraft franchise was back. I was rubbing shoulders with legendary lore figures, getting to love a new cast of characters, and wading into massive battles with the fate of Azeroth on the line. I’ve gone back and made other death knights on other servers several different times just because I loved that starting experience so much. And so maybe it’s not surprising the death knight class campaign in Legion has been one of my favourites. In fact, with eight classes down now, there’s pretty good odds it will go down as my single favourite campaign. As with all the best class campaigns, the death knight story draws heavily on what has come before. The original starting experience did a very good job of forging a sense of camaraderie between the player and the NPCs, and the Legion campaign very wisely brings pretty much all of them back and puts them at the centre of the story. 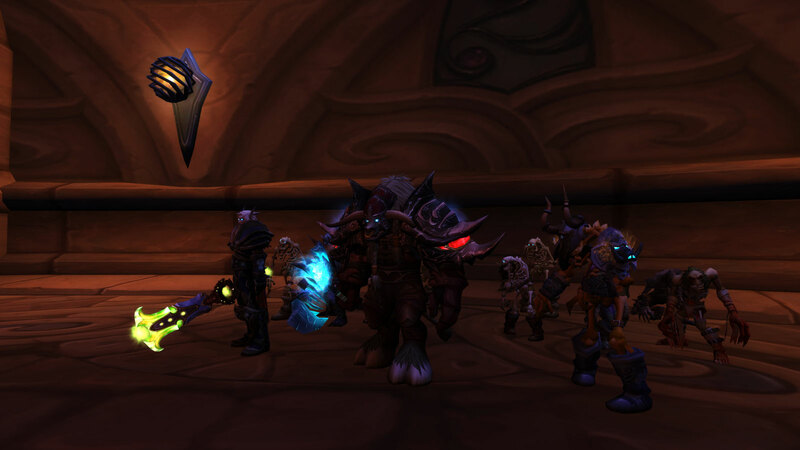 It felt great to once again be fighting alongside Thassarian, Koltira, and Darion. It was as if no time had passed. I was especially reminded of how much I love Darion Mograine as a character. Part of it is just his awesome voice, but I love his unique combination of breathtaking bitterness and cynicism tempered with lingering traces of optimism and nobility. The Ebon Blade has also always done a very good job of selling the anti-hero angle, and that’s one area where I can’t help but compare with the demon hunter campaign. As much as I hate to use the buzzword, the Illidari mostly come across as a bunch of angry edgelords. 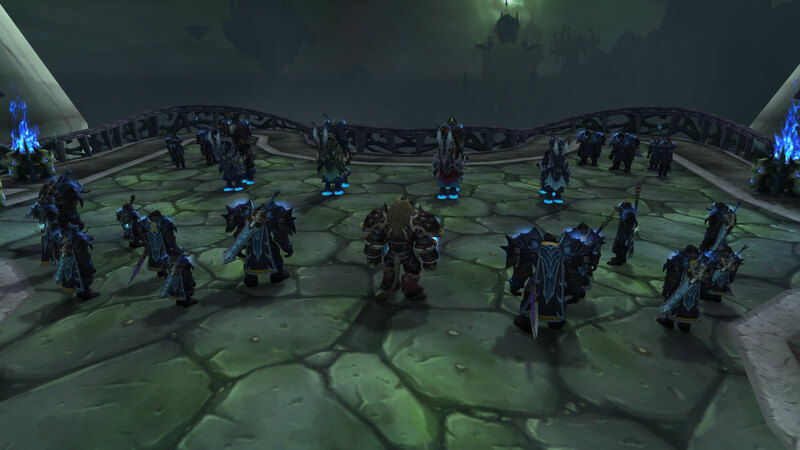 The death knights have a more nuanced approach. They’re monsters, and they know they’re monsters, and they’ve decided to turn their hideous nature against even worse monsters so as to preserve that which is still good in the world. They do heinous things, and they know that no one will ever forgive them for what they’ve done, least of all themselves. The camaraderie that exists between the Knights of the Ebon Blade, as well as their tremendous self-awareness, adds a very sympathetic angle to what would otherwise be a tremendously unlikable bunch of people. There’s even more to praise about the death knight campaign, but the rest starts to veer into spoiler territory. 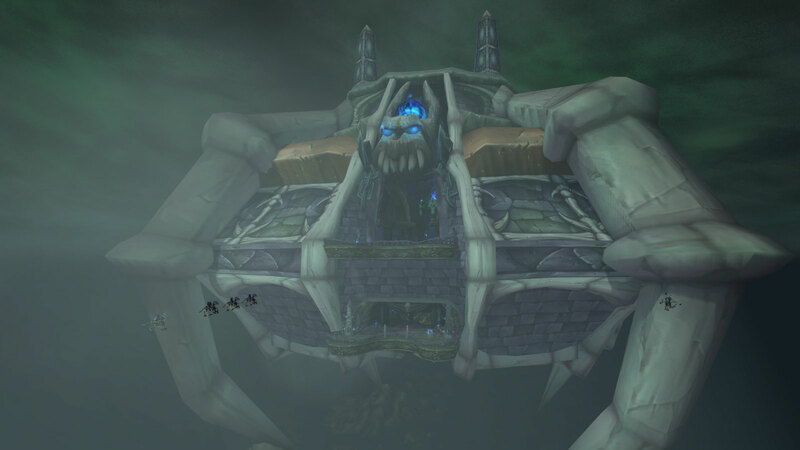 Suffice it to say we got to revisit some long-neglected locations, storylines, and characters, and it’s definitely enriched Warcraft lore as a whole. Really my only big complaint about this story is that it left me wanting more. A lot more. I know the odds of this happening are exactly zero, but I would love to see a single-player game that’s all about the Ebon Blade and their story. They’re such a fascinating bunch. Gameplay-wise, I also had more fun with my DK than I have in the past. Legion’s changes to the rune system seem to have sped up and smoothed out the rotation a bit. Blood still feels off to me in a way I can’t quite define, but I’ve had a pretty good time playing frost and unholy. Legion unholy is pretty much the only pet spec in WoW I’ve truly enjoyed (well, I was a big demonology fan for a long time, but I liked it despite the pets). As unholy, your pets don’t feel like they’re detracting from your character — they’re a bonus rather than a crutch — and the sheer number of them you can summon is a real power-trip. Apocalypse is also one of the very few artifact abilities that is genuinely impressive. One of my few complaints about artifacts is that the abilities granted by these supposedly awesome weapons tend to feel surprisingly weak, but Apocalypse is an exception, looking and feeling awesome to use. Also, if you’re not shouting “APOCALYYYYPSE! !” in your best Lich King voice whenever you use it, you’re playing the class wrong. Meanwhile, frost spec does a very good job of capturing the “unrelenting killing machine” fantasy of the death knight class. It is a bit on the simple side, but you can add complexity through talents, and it’s fun and relaxing to play. If you haven’t played a death knight in Legion, you might want to consider it. Excellent points made about this class. The DK starting experience is amazing, and indeed it makes us want to play more. It always feels so sudden having to go cross the dark portal right after being accepted back by our respective factions. I wish more classes had such an experience..